On the piste, get set, go! This modern Race Carver with VRT Technology first unfurls its extraordinary qualities on mid-radius to sweeping long turns. It remains very stable and precise even at high speeds. And it masters a change in rhythm with bravura. More power coming from the ski‘s waist results in phenomenal edging. Doesn‘t matter how you accelerate this ski has a ride that‘s smooth as silk. Go ahead, indulge in a smooth ride. Even at full throttle. 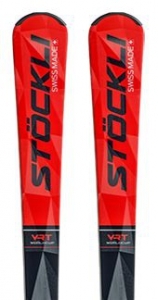 ©2011 Strand's Ski Shop, Inc. All rights reserved.